Labor Day weekend is coming up and it’s one of our last chances to get down to the shore (or “down the shore,” as we say in Philly). 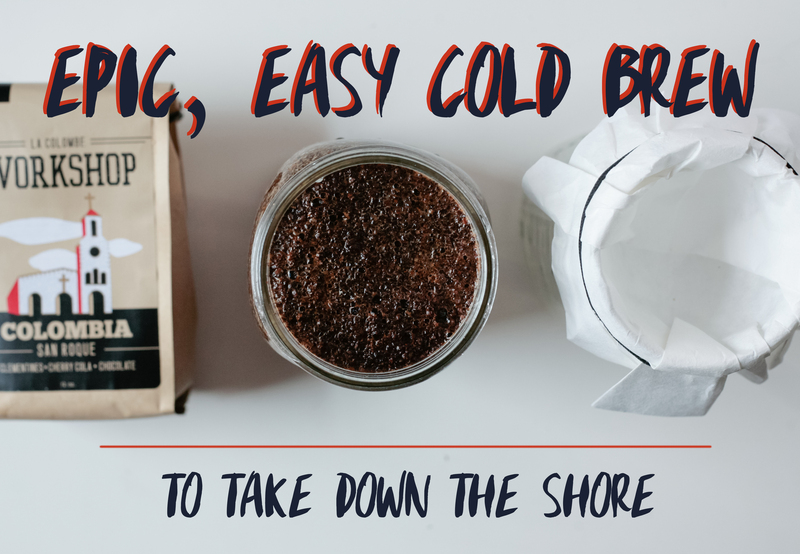 For the last beach trip of the summer, you’ll want to make an epic, awesome cold brew to bring. We started one this morning and thought we’d share some tips! Pick your coffee. We grabbed our Colombian San Roque. With notes of chocolate and cherry cola, we’ve been dying to try this as a cold brew. Whatever coffee you use, grind it pretty course, like sea salt. Next we grabbed a couple of large Ball jars. You can cold brew in a French press too, but in a pinch, pretty much any containers will work. Fill up one of the jars with 700 grams of water. Pour 100 grams of coffee into the other jar. 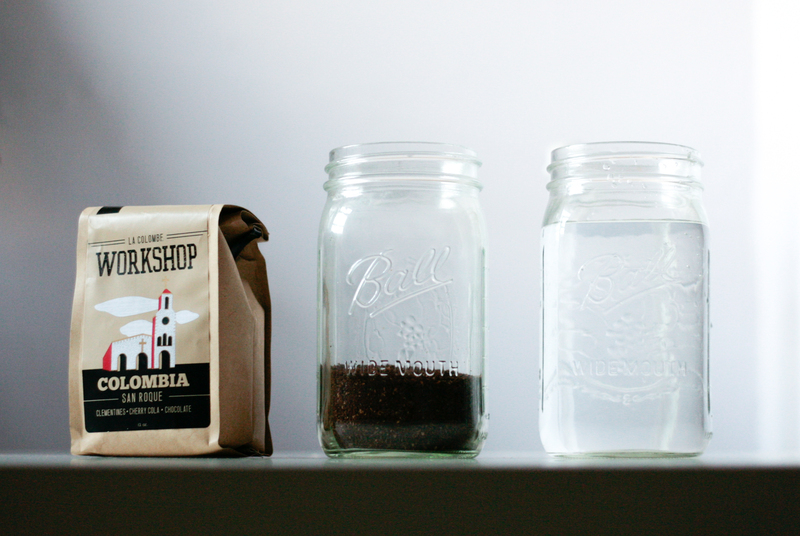 We’re using a 7:1 water to coffee ratio here, but play around with the ratio to figure out your own taste! Some of our coffee crew likes to do their cold brew at 5:1. Pour the water into the jar with the coffee, making sure all the grounds get wet. Now it’s time to let the brew hang out. No need to stir it or refrigerate it, just cover the jar, leave it on your counter, and go to work. After 12-16 hours, it’s time to filter that baby! Take a filter (we used a Chemex filter but you can use thick cloth, cheese cloth, etc.) and attach it to the top of the empty jar. Pour the brew through the filter slowly. You might have to stop and unclog or change your filter. Then pop that thing in the fridge and let it chill! Start it tonight and you’ll have a delicious Colombian cold brew to last you the long weekend. *Pro Tip: Do a hot bloom! Pour 200 grams of almost-boiling water over the grounds first to let the coffee get a head start on extracting, then pour in 500 grams of cold water and let it brew for 12 hours. I will be trying this method(i have san rouge)!